Jewelry Glue. 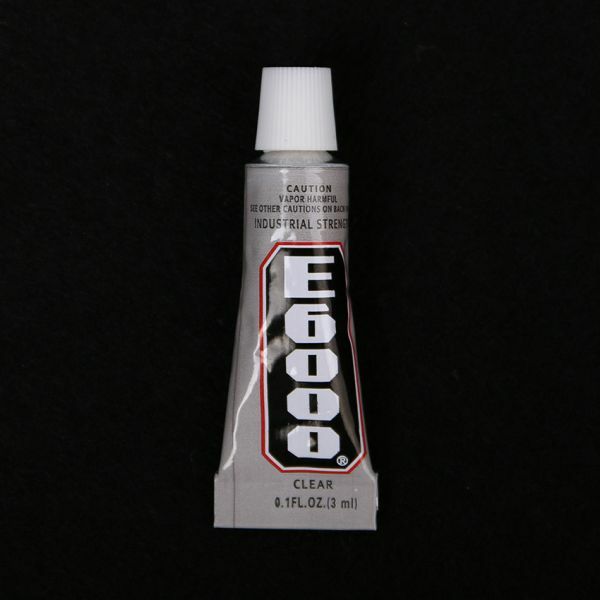 E-6000 is a unique adhesive formulated to meet high-performance industrial requirements. It adheres to more surfaces then virtually any other adhesive. 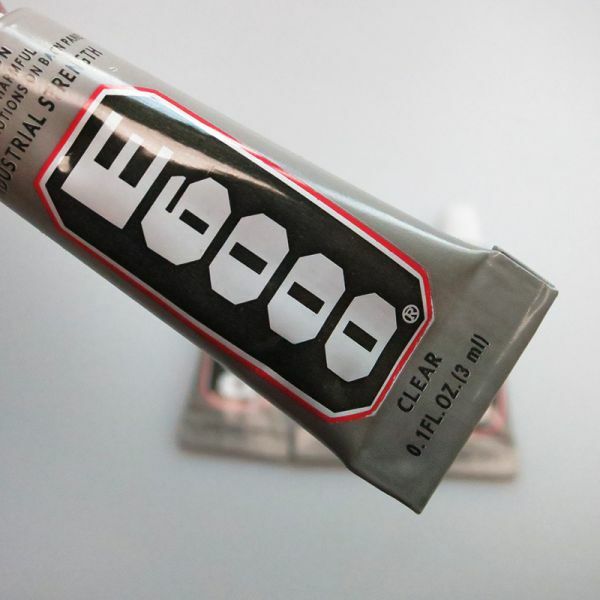 E-6000 has exceptional adhesion to wood, metal, glass, fiberglass, ceramics, masonry and concrete. It also adheres strongly to leather, rubber, vinyl and many plastics.